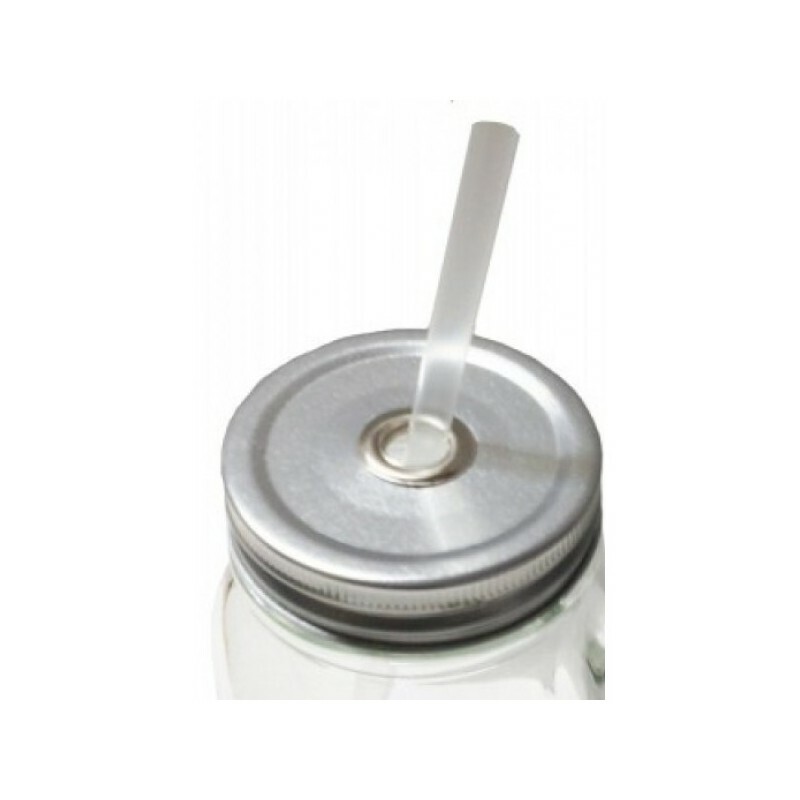 Ball mason stainless steel straw drinking tops will convert any wide mouth canning jar into a glass cup to use on the go. Complete with a 10mm space to accommodate a stainless steel or glass reusable straw up to 9.5mm diameter. This lid does not fit our 12mm wide bubble tea straws. Note: Lid only, does not include straw or glass jar. Everything tastes better out of a glass jar! 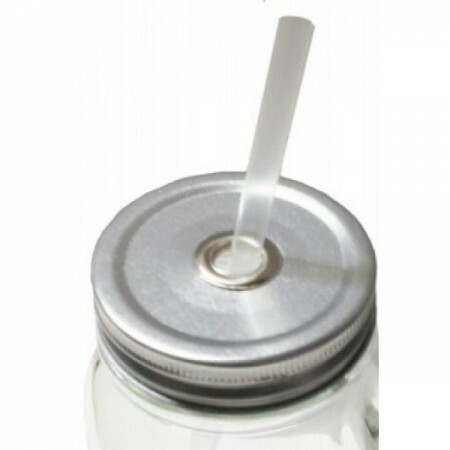 Ball mason stainless steel straw drinking tops will convert any wide mouth canning jar into a glass cup to use on the go. Drinking from glass improves the taste of your smoothie, juice or water and it is also a great reusable reyclable alternative to disposable plastic bottles. Listing is for a single drink top. Stainless steel, glass straws and jar bands sold separately. Glass jars not included. Choosing a reusable drink bottle & straw equals one less of these ending up in landfill. Glass and stainless steel are infinitely recyclable. High grade stainless steel & silicone won't leach toxins into your beverage as you drink. 100% recycled & recyclable packaging. Made from food grade stainless steel. 10mm straw space for a reusable stainless steel or glass straw up to 9.5mm in diameter. Compatible with regular mouth canning jars. 9cm diameter across lid. Price is for one single drink top. Straw and glass jar not included.